Stone Bridge Press is bringing out a deluxe edition of Jing Liu’s Understanding China Through Comics, which I have been reviewing here and enjoying very much. I recently had a chance to interview him about his work. and its future. Why did you decide to do this? What were you trying to convey and to whom? Has the audience changed any over time? In 2009 when we’re expecting our first child, I wanted to make a special gift only for him, so I thought about making books. I chose comic history because both history and comics are my long time hobbies. I also have 18-year experiences in running my design business, so I’m ready to turn my hobbies into a career. 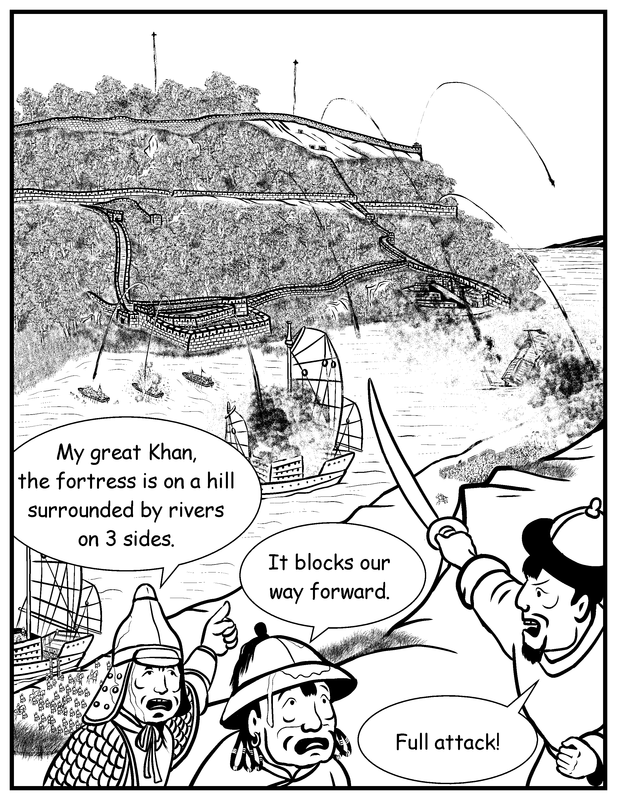 ‘Understanding China through Comics’ brings new method (present history graphically) and new perspective (how modern Chinese view themselves) for learning Chinese history. The series are intended for the general public. I felt this topic deserves a global audience, so I wrote it in a global language, English. At least for me some parts of teaching history are easier than others. It is not always easy to put all the things you want to talk about in a particular period into a clear story. What part of this history had been most difficult for you so far? Which did you enjoy most? It’s easy to talk about history through personal stories. However, it’s more important and more difficult to look beyond these stories to see the long-term context (e.g. geography, economy) that plays a bigger role in history. The most difficult period is the Age of Division between the Han and Tang, too much going on at the same time, making it hard to tell a clear story. What were some of the ways you got around this problem? For the Age of Division, one way to talk about it is through historical figures and events. I focus on the philosophical conflicts between Buddhism, Taoism, and Confucianism, trying to explain how Chinese culture evolves in such a chaotic time. Which period or topic has changed most in your mind as you worked on this? What figures or issues have you changed your mind about most? The one thing I learned after working on the project is to be optimistic about the future – Today China has become a part of the globalized world. Once the change is done, there is no turning back. 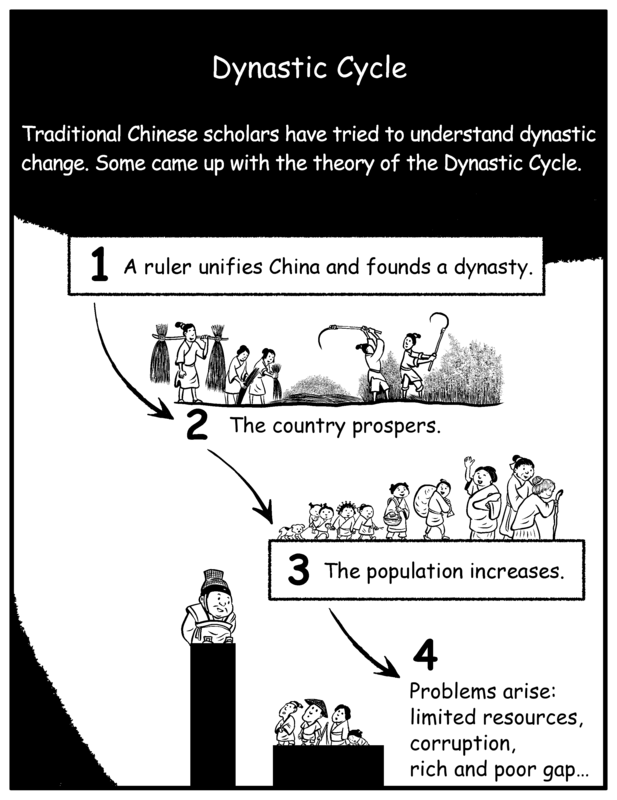 Before I looked at Chinese history in terms of dynastic cycles (a traditional Chinese view), thinking what goes up must come down. So it sounds like you have changed to a view of history as progress. 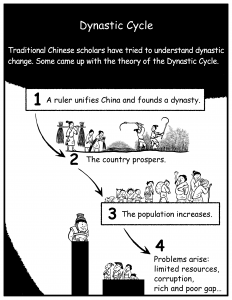 Are there any parts of the Chinese past that you found difficult to fit into this pattern? Has this led you away from political history, or given you problems dealing with some periods? Are you thinking of extending the story into the 20th century? From a long-term perspective, Chinese history is progressing from an agricultural empire to an industrialized nation, from the isolated “center of the world” to be a part of the world, and from traditional hierarchical communities with limited choices to diversified societies that offer more people more freedom to choose their own ways of lives. There are many short-term setbacks. But they didn’t stop history from progressing. Vol. 5 will cover the 20th century, but there is no fixed publishing schedule yet. The most interesting period for me is in Vol. 4, when China interacts with the Western powers. What did you find most interesting about this? What did you find most enjoyable or difficult to write about in this period? In Vol. 4, the most interesting part for me is that it’s no longer possible to tell Chinese history without relating to forces far away China. The previously more isolated civilizations start to blend together. For example, during the Boxer rebellions, such different sides as Chinese farmers, scholars, officials, foreign missionaries, and eight-nation allies played out and led to the eventual showdown. The history is still progressing in terms of the making of modern China, but personal experiences at the time could well be the opposite. It’s difficult to tell a balanced story. Is there a main theme to your story? To Chinese history? What has the reaction to the project been? Has this surprised you at all? The reaction is very encouraging. Now I’m working with French, Korean and American publishers to release new editions. A Japanese publisher also expressed interest recently. Will there be a Chinese edition? Yes, a Hong Kong publisher just offered to publish the books in Chinese. You have mentioned that you are re-drawing the series, which if fact you have done in part already. Why? How is the new version different? Currently I’m re-writing and re-drawing Vol. 2 and 3 to improve the writings and drawings. Has does the format you have published in give you more freedom? Normally once a book is published the author can’t do any revisions. Was this part of your plan from the beginning? 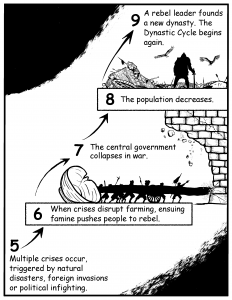 Comic books are a great media to make a complicated topic more interesting. If possible, I’ll keep improving the story-telling and visual presentation. What sources have you drawn on for the work? Which sources were most helpful? Which periods or topics were most difficult to find sources on? My main sources are the works of Chinese historians: Lu Simian, Wang Tongling, and Ray Huang Renyu. 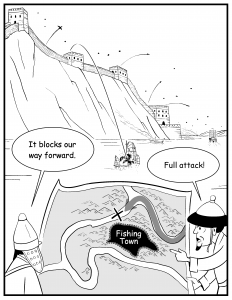 It’s difficult to find sources on wars, as Chinese scholars generally don’t like to discuss them in great detail. How about visual sources? What aspects of the project have been most difficult to picture in your mind and thus on paper? How did you work around this? I try to find as many ancient paintings as possible to help my drawings. It’s hard to visualize abstract concepts like philosophy or economy. This is something that I need to improve on. Do you have an example of an abstract concept that you think you did well with? An example would be visualizing the dynastic cycle. The old editions are all still available on Amazon.